My experiences with TeaVivre teas have been good. The greens: Huang Shan Mao Feng, Pi Lo Chun, and Bai Mu Dan. The blacks: Premium Keemun Hao Ya, Bailin Gongfu, and Golden Monkey. 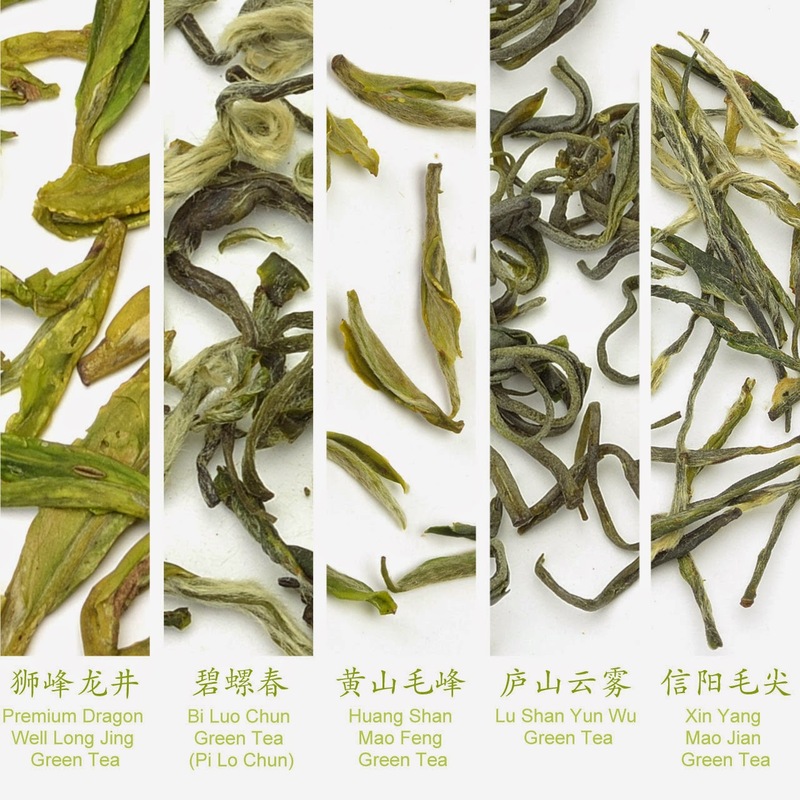 The green teas on offer this spring include Premium Dragon Well Long Jing, Bi Luo Chun (Pi Lo Chun), Huang Shan Mao Feng, Lu Shan Yun Wu, and Xin Yang Mao Jian. TeaVivre has graciously provided me with 5 coupon codes for its 2015 spring green teas! The first five readers to leave a comment about their favorite Chinese green tea will receive one coupon code each. The coupon is good for a sample assortment of five green teas and free shipping. Happy commenting and tea drinking! Dragon Well is definitely my favourite Chinese Green tea! I love drinking it "grandpa style" as I've heard it called: a pinch of leaves in a glass, hot water and drink it down to 2/3 before adding more hot water. Perfect way to enjoy it! I don't have a lot of experience with green tea, but the Yunnan green I got from Tea Trekker was delicious! I can't wait to try Teavivre's sampler!